You can click to find out more about each product. After buying something, if needed you can reply to the confirmation email to ask a question. None of that annoying “Do Not Reply” or “noreply@WeDontCareAboutYou.com” stuff. Data collection and privacy is becoming a bigger and bigger issue. If it gives you solace, the only thing I even see when you purchase a product is your email address, which is not put on any list. You have to sign up for my list separately (can do so at the bottom of this page). Therefore, other than “this email bought these products,” zero information about you is collected. Below the products is a section of “Frequently Bundled Together.” Over the years, it’s how I’ve seen people group products, along with how I recommend doing so. If you want to learn more about me, check this out. Handling customer and client data? Here. The above is a nice mix of some exercises aimed primarily at knee issues, along with a few ways to help how the knee(s) with how you sit during the day. I tend to recommend not grouping Mitigating Patellar Tracking Issues with the above, as it hits a mixture of the above, with it’s own focus. For instance, if you’re looking solely at IT band stiffness, the IT band manual is the way to go. If you’re looking at patellar tracking issues, while that may comprise IT band stiffness too, the tracking manual is going to be more comprehensive than only the IT band manual. You have your exercises to work on, along with ways to modify your activities of daily living -including footwear, finishing up by getting a solid night of sleep. While the ACL guide hits on knee extension a lot, the knee extension guide hits on it even more. The other 23 hours gets things really dialed in. This gets you the running routine with corrective exercises to keep you healthy, then things to work on as you go about your day, as we don’t want to ignore the other 15 hours you’re awake, then some ways to help the joints those 8 hours you’re asleep. Is it possible to have a right retro version hip and a left anteversion hip? That’s what I have been diagnosed with. It causes me a great deal of pain. I’d so what exercises and stretches should I do for each. You can do things to mitigate the potential problems from these structures though. I have an anterior pelvic tilt and internaly rotated femut, in both leghs. What do you recomand I should purchase. Does the anterior pelvic tilp excercises include ways to work on the rotated femur. Or do you have a separate package for that? I just read you piece on the misunderstanding of the femoral adduction and it blew me away. I have moths trying to figure out what is failing in my knees and hip, and I have not foud the right answer: What do i stretch and what do I thighten??? By the way, my case is pretty severe. I present all of the problems listed in your photos. So, what do you recomand. What should I purchase? BTW, I have been working on my anterior pelvic tilt for 2 months now ( stretching hip flexors, lower back and hamstrings and strenghtening glutes and abdominals ) and it has done wonders! But the internal rotation of the femur is giving me a head ache! I canot seem to figure it out. I also have extendes knees! But the rotation is bad. Walking is just awful. i have absoluley no support. And all I am sure because I used to sit as a child on my coxis with legs extended on the sides, don’t know if you understand how( like seiting on your knes, but with legs extended outwards so the ankles were laying on the exterior near the hips ). So my Sartorious is is so elongated, you cannot imagine. I did the hip rotation test: my legs go in internal rotation all the way down to the flor, on external not even 10°! So please, let me know if you have any package that can help.I apreciate the help! the genesis of patellar tracking-mitigating patellar tracking issues? cant bend your knee-how to fully bend your knee again? i hope you dont think i am joking. i thought about starting with one or two in case i dont like them, but i dont see how i can not like them after reading your website. I need a LOT of help. You dont say if you ship overseas, and i dont know what the cost of shipping to india would be-(i am in india)-so i dont know if this is a cost efficient idea. It seems to me it would be most sensible to order all the books at once because there would be a minimum weight charge which might add up to more than the actual weight. The other issue is that it looks to me like you accept master card/visa in certain cases but others you will only take paypal, which i dont have and cant get. I have an american bank account with a visa card and if you could arrange for me to pay that way it would work. By the way, your article on the hallux vagus issue was great, even though i dont have that. There is a lot of information there that is helpful to many other situations, so the knowledge is transferable. Two of the books may be listed under different titles, which i have noted with a question mark. If you are able to do this, please go over the list and see that i am not ordering redundant information, though it does seem to me that each book would cover different aspects even on the same subject. Sorry about the really long comment! Everything is in electronic form. No need to worry about shipping costs. Unfortunately the only method I accept payment wise is PayPal, but within that you can use a MasterCard or Visa. 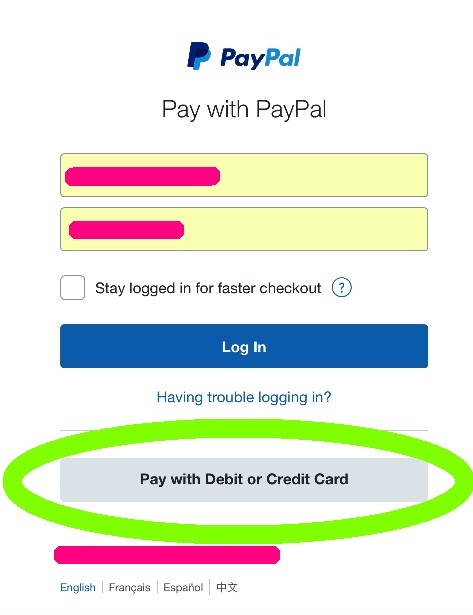 You don’t need to use a PayPal account. Can simply check out only using a card. Last I saw, the only country which had a problem with this was Pakistan, where a customer couldn’t use any method of payment. In that case, the person sent money using Western Union. I went to my local branch, showed them my ID, picked up the money, emailed them what they wanted, and we were good. All those items are different. I would try adding those items to cart, click check out with PayPal, then click pay with a card. Glad you liked the hallux valgus article. Thank you for the nice words. i tried three or four books just to make sure it worked, and i will get the rest next time around. Glad it worked. Thank you!